I will be the one to say it, I love my 3/4 tights. They are perfect for the cold days and also add some breathing for my calf’s and some good air flow, 3/4 men’s capris are pretty much all I wear for tights and I love them. 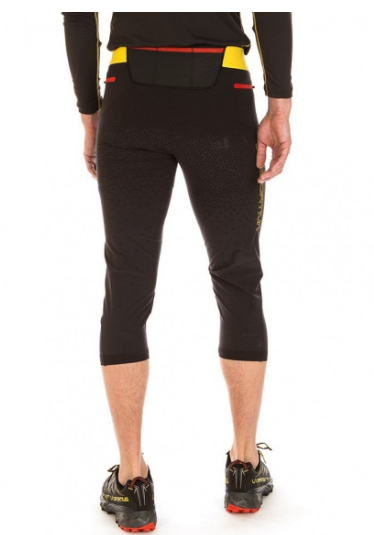 For teh longest time i was all about the full tights then I spotted these La Sportiva in a magazine and I was like those are pretty cool and picked up a pair, 3/4s are a cross between shorts and full and just feel comfortable. I have actually graduated to get into teh 3/4 casual bottoms for same reason as I love for running, Outdoor research and Patagonia make some great ones and they are mostly for climbers and offer great style.